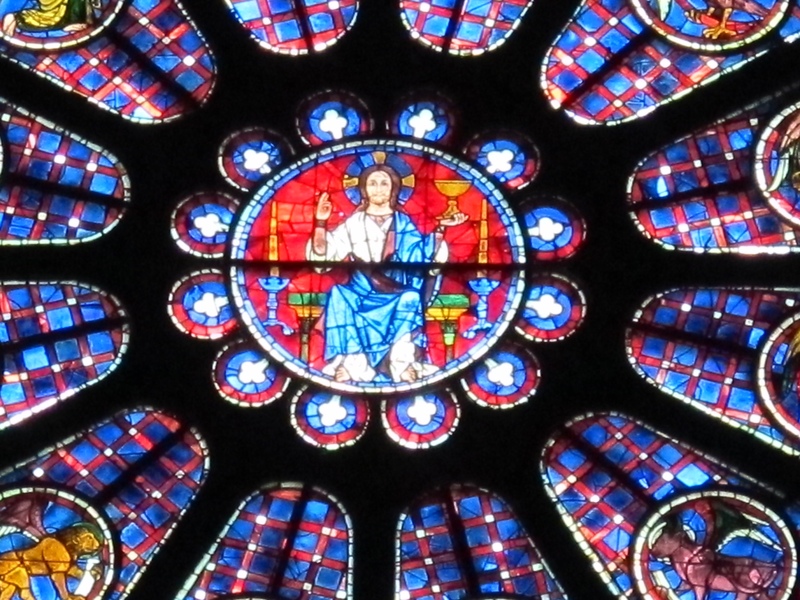 A Monk’s Chronicle: 26 November MMXVIII — Is Christ Our King? Six evenings a week, during dinner, one of the monks reads to the rest of us as we eat. He opens with a short chapter from the Rule of Saint Benedict, during which we sit in silence. Then he turns to some book, and as he begins to read we begin to eat. And so it goes, and we usually go through that book cover to cover, no matter how many weeks or months it takes. As you can imagine, it’s tough to find a book that suits every taste. Still, every now and again there’s a text that grabs our collective attention, at least for a while. This fall we read just such a book, one entitled The Pope Who Would Be King. To me it was fascinating to learn how Pope Pius IX struggled to hold on to the Papal States in the 1860s, even as the Italian nationalist armies closed in on Rome. For a thousand years popes had ruled a big chunk of central Italy, and they presided not so much as popes but as kings. They administered justice, tried to keep the peace, and managed an economy. A few of them even put on armor and led their troops in the field. Likely the most famous of these was Julius II, who earned the title The Warrior Pope for wearing armor at the siege of Bologna. And then there were the mixed messages that resulted from being both pope and king. Just a few days ago Pope Francis spoke of the thief whom the papal executioner beheaded in the 1860s. Francis recalled the story with regret, but he also noted that that’s the way it was back then. For better and largely for worse, many in the Church could not imagine an independent pope without an independent papal state to protect him. Well, the Papal States fell anyway, despite the prayers of Pius IX. And if he never got over it, popes like John XXIII and John Paul II and Francis have never regretted the loss for a minute. Who could possibly want the responsibility of governing central Italy?! I bring all this up as a preamble to a few thoughts I’d like to share on the feast of Christ the King. To me it’s always seemed oddly out of place to think of Jesus Christ as king. Granted that there have been many good kings, it’s also true that the word king carries a lot of baggage. So when I think of kings I recall Henry VIII and Louis XIV and the Russian tsars. Their royal authority seemed to be all about power and its arbitrary exercise. And as for the common people and individual rights, those concerns scarcely mattered. This was the sort of authority that marched young men by the millions into the trenches of World War I, and it was a march from which those same millions never returned. So for better or for worse, that’s what I think of when I hear the word king. And king is a word I don’t usually pin on Jesus Christ. In today’s gospel Jesus goes out of his way to stress that he is no earthly king. To Pilate he protests that he has not come into this world to take and exercise power. He has come neither to crush the opposition nor to force people to live by rules he would impose on them. If he were a king, Jesus told Pilate, he would be a different kind of king and his kingdom would not be of this world. If Jesus is king, then what in the world does that mean? Is it merely longing for the good old days when churches exercised power in contests with secular authority? Perhaps a few yearn for a return to those days; but if we are to believe the words in today’s gospel, it cannot be that way for a follower of Jesus. Obviously there’s a lot more to kingship than the exercise of raw power, and that’s what Jesus is getting at in his conversation with Pilate. The kingship of Jesus is an intangible one. It’s one that looks forward to the day when Christ will be all in all. Jesus anticipates the day when he as king will wipe away every tear and clothe each one of us in the dignity for which he created us. And that is when we will finally set foot into the kingdom of God. But if that describes the day of resurrection, what might the kingship of Jesus mean for us here and now? Ought it make any difference when we walk out of this church? Well, I’d like to offer two points for us to mull over. 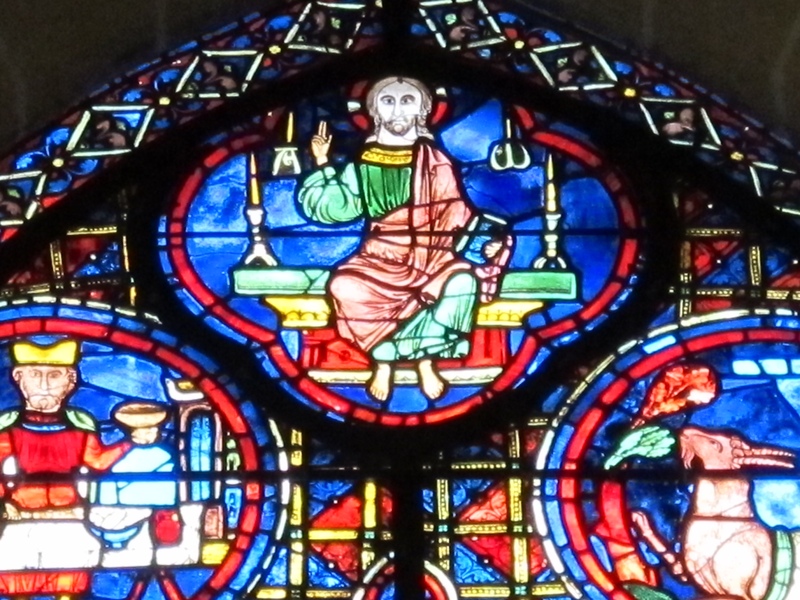 First, as king Jesus asks us to take stock of the direction of our lives. Down what paths have we chosen to walk? What are our values? To what or to whom do we orient ourselves? Do we exploit other people? Do we live mainly to acquire stuff and push other people around? Do we live for the moment, with no regard for the feelings of others? Certainly people choose these options, and I confess that there have been moments when I’ve been in that number. But unfortunately these are traits of the kingship that Jesus rejects. For his part Jesus as king offers an alternative model to earthly kingship, and it’s one that has a focus on the needs of others. As king Jesus begins and ends by asking us to make the most of our talents — wasting neither the opportunity to develop them nor the chance to use them in service to others. In short, Jesus invites us to share in his nobility, and it’s a nobility not of blood but of service. Second, when Jesus asks us to clothe ourselves in a nobility of spirit, we must remember one important bit. His is an invitation and not a command. Jesus respects our freedom, and he does not determine in advance our success or failure. Each of us must choose how to live our lives, and so we have the option to make the most of our lives or the option to choose blind alleys and dead ends. 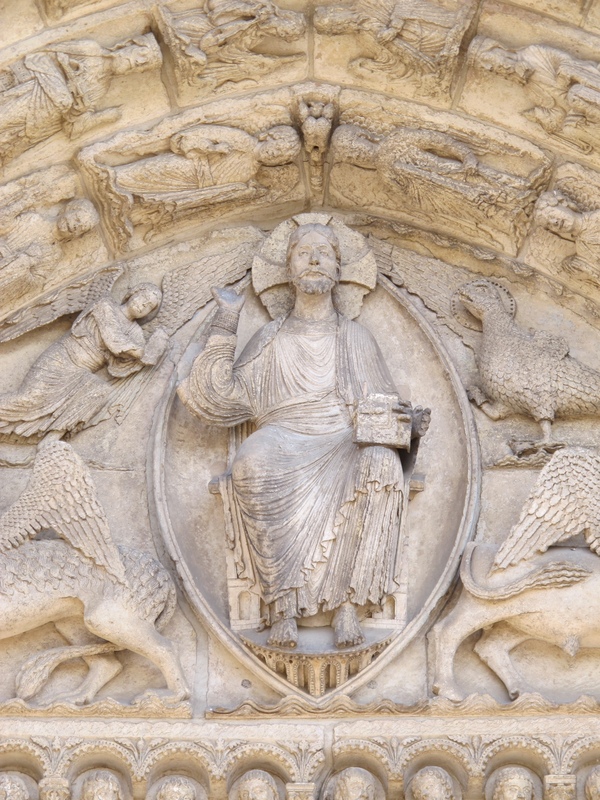 Today we celebrate the feast of Christ the King, who as king awaits us with open arms at the end of time. But life with Jesus also begins now, and he sets before us his invitation to live in a nobility that has little to do with power and everything to do with a service of love to one another. +On November 24th I attended the football game between Saint John’s and Whitworth University, which Saint John’s won 45-24. Saint John’s now continues into the quarterfinal round of the NCAA Division III playoffs. That game will be in Texas, and I won’t be there. +On November 24th we celebrated the memorial of Saint Andrew Dung-Lac and his fellow Vietnamese martyrs. Brother Emmanuel, a Vietnamese Cistercian monk studying with us, read the first text Vietnamese, which I think must be a first in the abbey church. Then he and three of his confreres sang the meditation Psalm in Vietnamese, which also had to be a first for us. +Thanksgiving, as usual, was a lovely day and dinner in the abbey refectory was both festive and good. That afternoon I celebrated by taking a walk and by spending two hours watching and listening to John Rutter music videos. I am a major fan of English choral music, and I thoroughly enjoy Rutter’s work. And as for Thanksgiving, I count it as the official start of the choral Christmas music season. 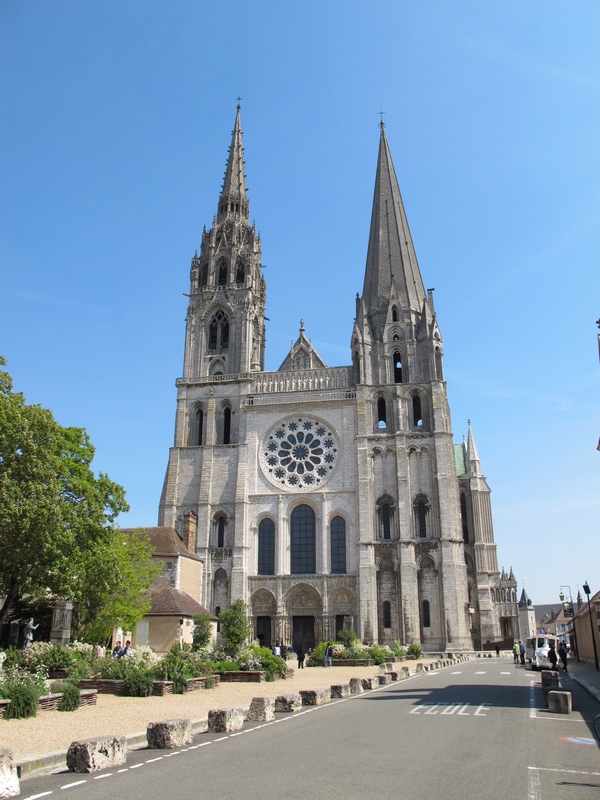 +The photos in today’s post all show images from the Cathedral of Our Lady of Chartres. 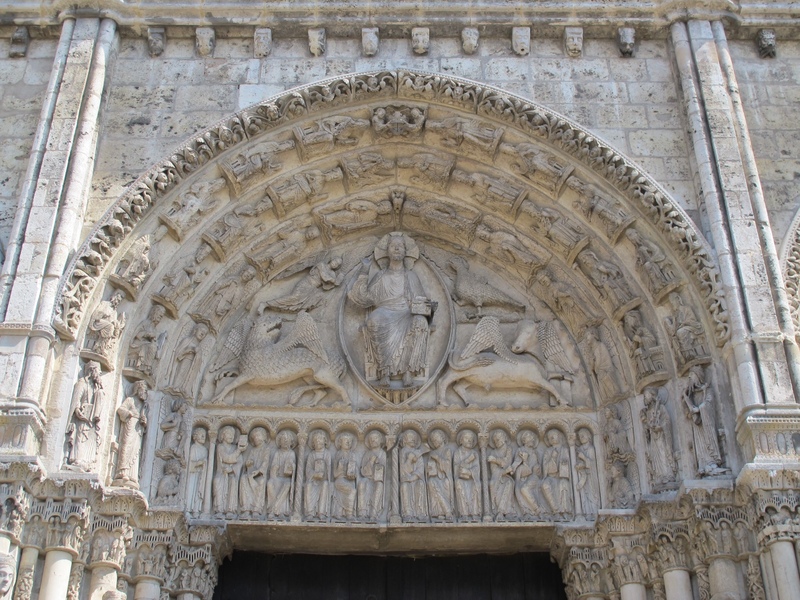 Typical of medieval cathedrals, Jesus sits in majesty in the tympanum over the entry, from which perch he greets pilgrims and reminds them that someday he will have the final word.